FHA appraisals involve extra attention due to more stringent requirements regarding the property’s condition. 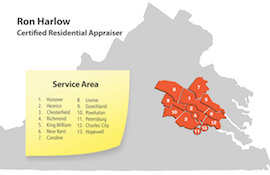 The appraiser needs to verify that the home is livable and safe by testing appliances, examining the heating system, crawl space, attic, roofing, electrical outlets and switches, determining the presence of any lead-based paint, and more. FHA standards require a more thorough inspection (and a more experienced appraiser) to accurately evaluate the impact of property condition on value.